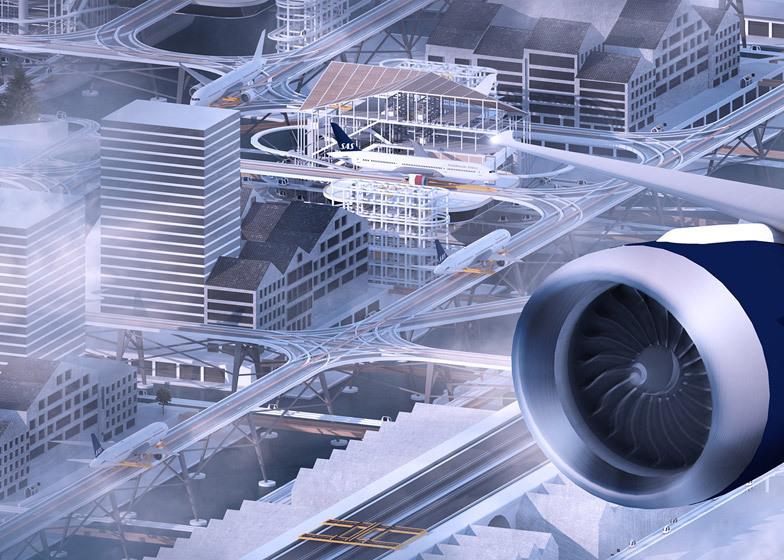 Envisioned as part of Sutton’s final year project at the London architectural school, this ambitious proposal moves Stockholm’s airport from the urban outskirts into the heart of the city. 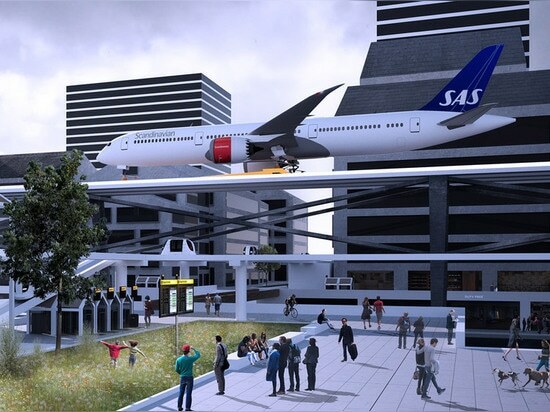 While air travel would certainly be much more convenient, we wonder how city dwellers living closest to the runways would feel about the project. 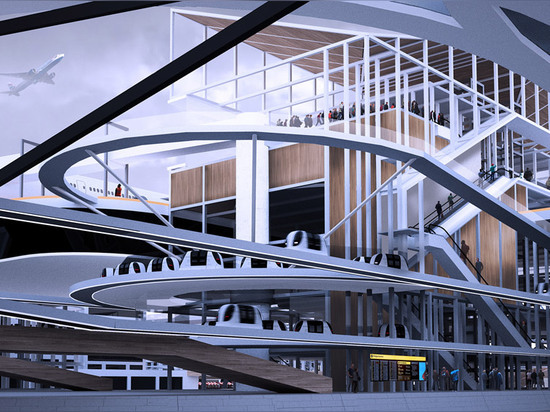 London’s Bartlett School of Architecture asked this year’s senior students to “develop a utopian dream” for their Unit 16 final project. 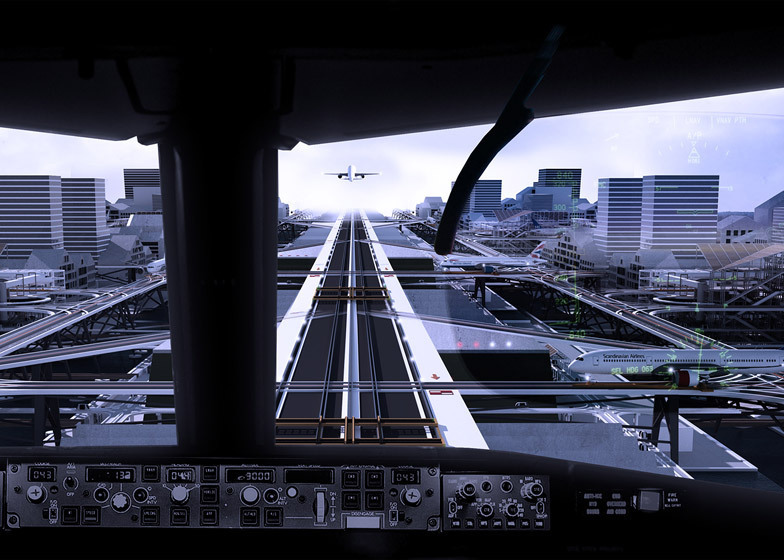 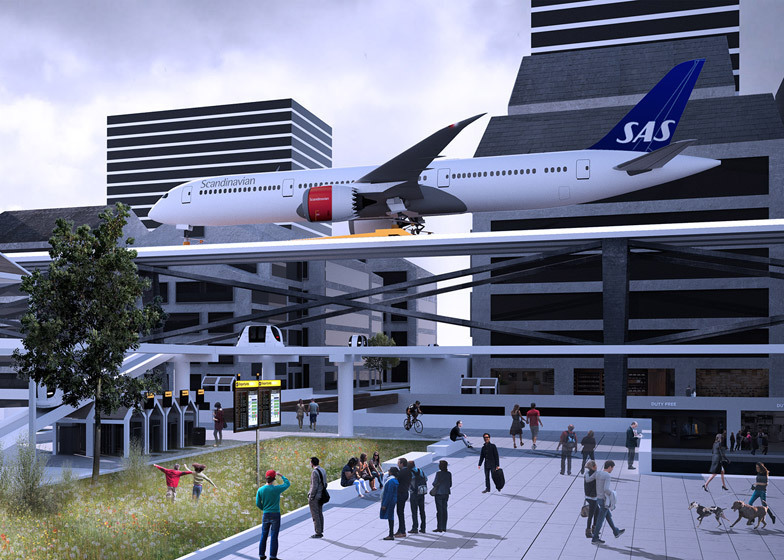 Sutton responded with the Stockholm City Airport/Airport City, a conceptual proposal that raises airport runways above the Stockholm cityscape. 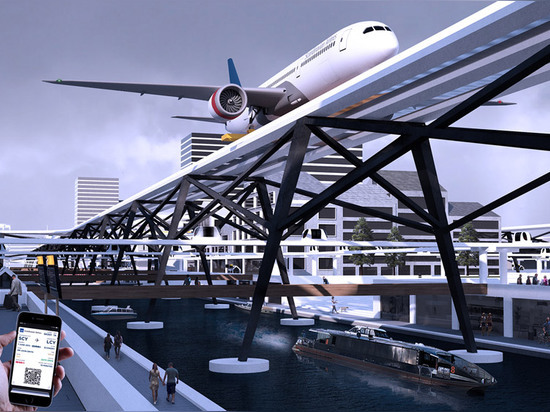 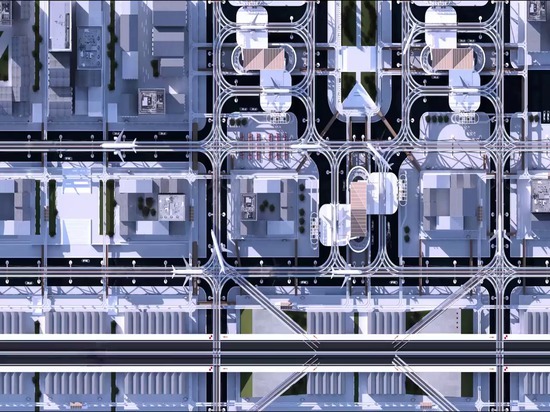 The elevated taxi-track runways loop around existing buildings and over wide streets and waterways. 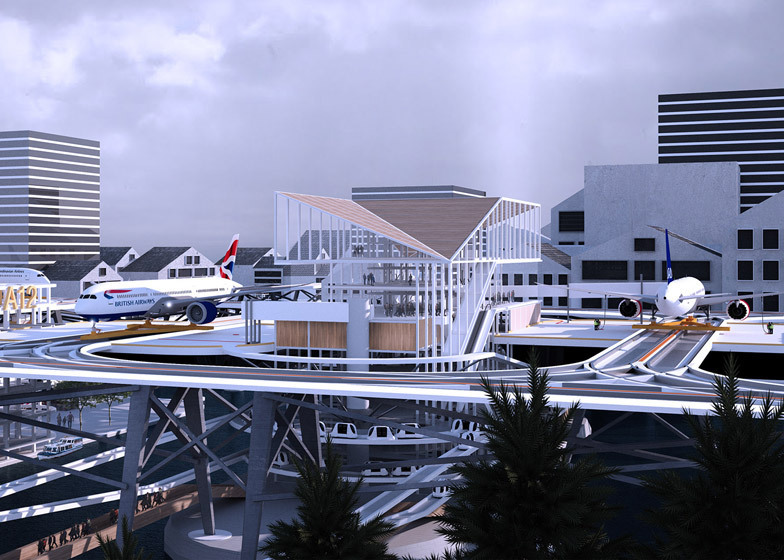 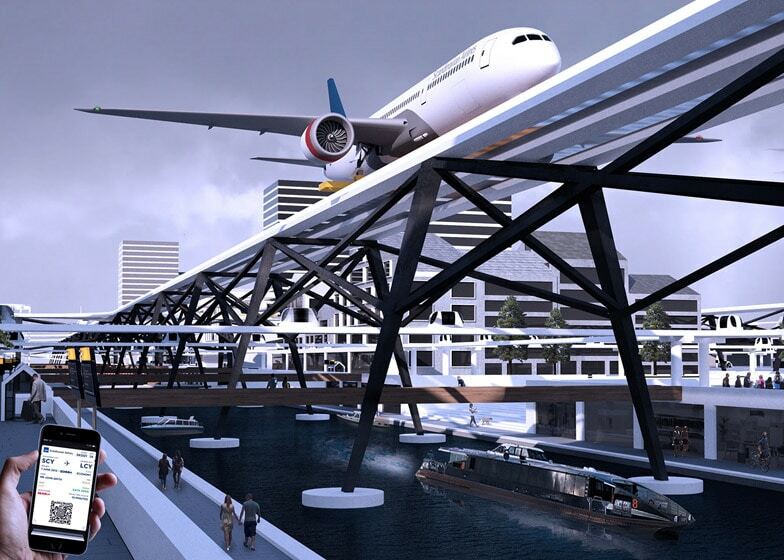 Travelers can reach the fully integrated urban airport via Personal Rapid Transit (PRT), a system of transit pods that run alongside the rails that would transport passengers to the aircraft gates. 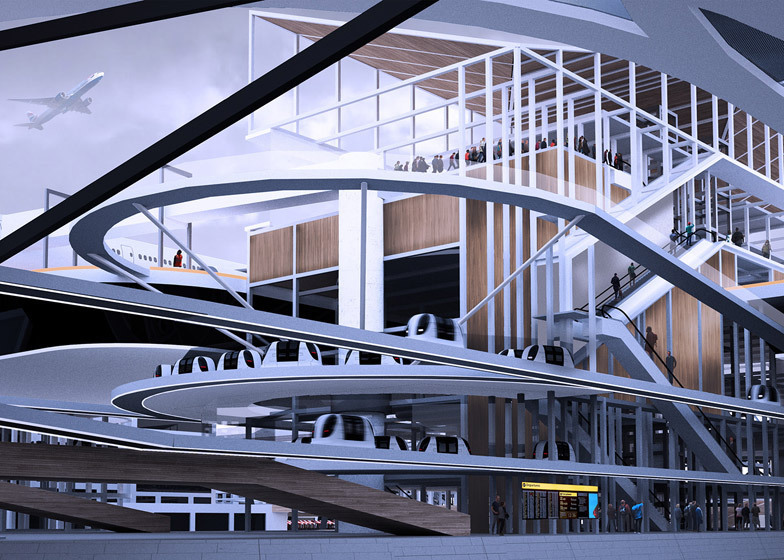 The PRT stations would be equipped with convenient self-service baggage kiosks where passengers can digitally tag and drop their bags. “This project responds to the developments that are being made in aviation today, such as the local flight context, take-off and landing, aircraft ground movements, security, passenger processing and ground operations,” Sutton told Dezeen. 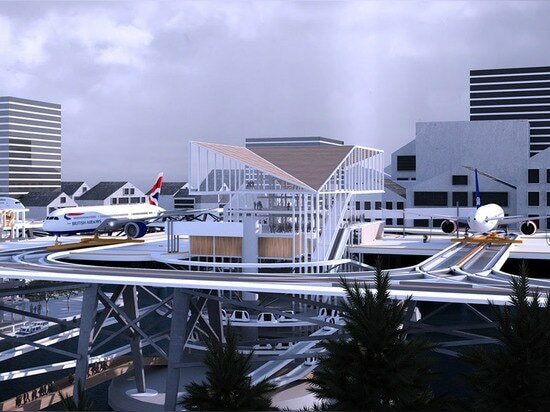 “These can inform new architectural opportunities for the airport design, that provide a better relationship between the airport, the city and the traveller.” The taxi-track runways allow the airplane engines to be disengaged until take off, thus reducing emissions and noise.